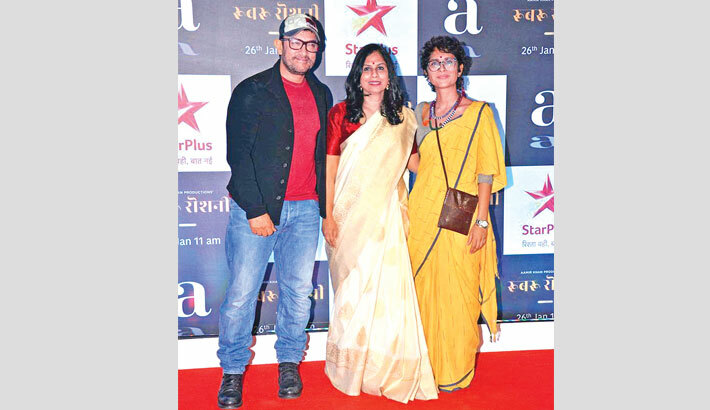 Documentary film Rubaru Roshni, produced by Aamir Khan and Kiran Rao, had its premiere in Mumbai on Monday. Among those who watched the film included Karan Johar, Parineeti Chopra, Sunny Leone, Sanya Malhotra, Jacqueline Fernandez, Taapsee Pannu, Swara Bhasker and many others. After watching the documentary, many celebrities heaped praise on the film and called it a ‘must watch’, reports Indian Express. Alankrita Shrivastava, Siddharth Malhotra, Ramesh Taurani, Parineeti Chopra, Tusshar Kapoor, Ronit Roy and RS Prasanna, all were inspired after watching Rubaru Roshni. The promos of the documentary have been doing the rounds on television for quite some time now. In one of the promos, Aamir Khan talks about the freedom we enjoy as citizens. The Dangal actor says that we have the freedom to express but in the end, he questions if we are really free.